This class series is an exploration of how the arts can help us all to develop and appreciate the eye of the artist – an eye we all have. The teachers will present some of their favorite art works as examples of how the arts function and continue to function as dharma gates. Paintings, photography, music, and literature will be presented and discussed. 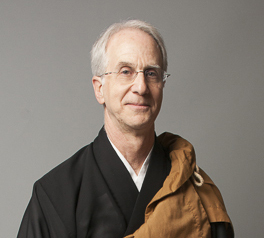 Kishin Eric Arbiter is a Zen Priest and senior member of HZC. He is a musician with the Houston Symphony Orchestra and the author of a soon-to-be-published book, The Way of Cane, on the history and art of making reeds for wind instruments. Maite Leal is a senior member of Zen Center. Her dharma name is SanRan KeiGetsu, Mountain Orchid, Joyous Moon. She is a conservator of paintings with the Museum of Fine Arts, Houston.